Register now for the 5th Annual On Par for DuPage Golf Outing at Arrowhead Golf Club on Thurs., Sept. 21. 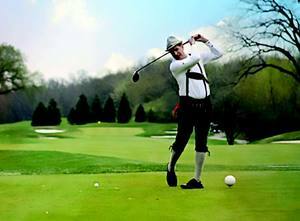 This Oktoberfest-themed outing includes a day of golf; lunch; on-course craft beer tasting; on-course games; live entertainment; and a German dinner prepared by Arrowhead's head chef. Tee off for hope and history as the day benefits both the DuPage County Historical Museum and People's Resource Center. Go to peoplesrc.org/golf2017 to register, sponsor or get more information. Members of the Darien Garden Club are always eager to share their gardening know-how and promote gardening in their community. 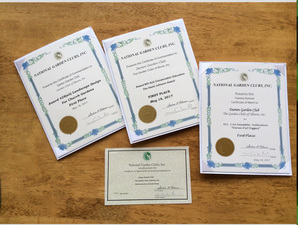 In May this year, they were thrilled to be recognized by the parent organization, National Garden Clubs, Inc. with three First-Place Awards for their efforts. The club is proud of its accomplishments and welcomes new members who want to learn more and do more in the gardening world. Meetings are held monthly and details can be found at dariengardenclub.com. Players strategize at the SEASPAR Trivia Challenge. Come to the Oct. 20 fundraiser and compete for a $500 cash prize. The South East Association for Special Parks And Recreation (SEASPAR) is hosting its 6th annual Trivia Challenge fundraiser on Fri., Oct. 20. 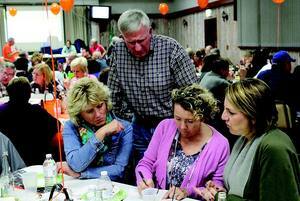 The Trivia Challenge will take place at the American Legion Post 80 in Downers Grove. Doors open at 6pm and the games begin at 7pm. Teams answer general knowledge and trivia questions, and the team that has correctly answered the most questions at the end of the competition receives a $500 cash prize. 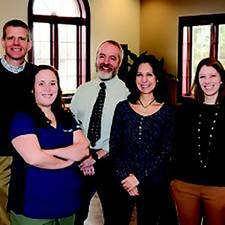 The Downers Grove Fine Arts Festival will be celebrating 41 years this fall. The festival is held in the middle of award winning, historic, Downtown Downers Grove, Sept. 9 & 10 from 10am–5pm. 50 artists will line Main Street with a variety of mediums and price points. Live music, boutiques, cafes and a children’s art area will complement the high caliber of art that will be present at the show. Join Wild Orchid Salon Fri., Oct 6, 5–9pm for their 1st annual, The Orchid Rooms at Wild Orchid Salon GO PINK event! This year’s recipient is Darien Chamber of Commerce President Clare Bongiovanni. Clare is currently battling breast/bone cancer. Fireworks For Buddha is the musical brainchild of Shawn Kellner, originally from Willowbrook/Darien. Kellner has quickly turned Fireworks For Buddha into an internationally renowned touring act, performing in Germany, Thailand, Nicaragua, and all over the United States over the last 12 years. Kellner is excited to bring his project home to Darien where he grew up, for a special full band performance on September 9 from 2–3pm on the main stage at the 30th anniversary of Darien Fest. Joining with St. John Lutheran Church, the Darien Historical Society encourages you to stroll and learn on Sat., Sept. 16, on a fascinating Cemetery Walk. The event begins at 1pm at St John Lutheran Cemetery, corner of 67th & Clarendon Hills Rd., with a rain date of Sept. 23rd. 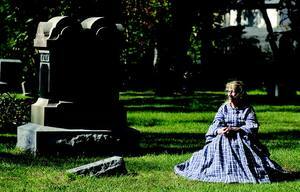 The walk will feature 15 grave sites plus pictorial information regarding three burials at Cass Cemetery. Civil War artifacts will be on display and guides will be available to answer questions. If available, a re-enactment will be performed. A pie sale will answer your needs for a treat. The Cemetery Walk is open to the public. For more information, contact Debbie at 630-325-5326. Celebrating 40 years of racing tradition, the DG 5 Miler has been moved to the fall to kick off the annual Harvest Fest held by the Downers Grove Park District from 8:30–10:30am on Sat., Sept. 30. The new and improved DG 5 & 8 Miler features a challenging, scenic course that runs through the rolling residential streets of Downers Grove. Racers can choose to compete in the established 5-mile course or the all-new 8-mile course both starting at the Lincoln Center and finishing at Fishel Park. Both routes are CARA- and USATF-certified. The 5-mile fee is $45 and the 8-mile fee is $55. CARA Members receive discounted registration. The course map, race information and online registration is now available at dgparks.org. their open house Sept. 24. Look for Kiwanians handing out bags of peanuts for Kiwanis Peanut Day, Fri. Sept. 22 and Sat., Sept. 23. Kiwanis Peanut Day supports the fundraising of the Kiwanis Club to serve the children of the world. Remember, every donation counts.